Exchange Anywhere: Still Using XP...Get ready to Upgrade!!! 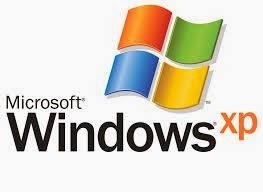 Microsoft team has already made announcements to the end users and Organizations who are using Windows XP to upgrade to either Windows 7 or 8 at the earliest as the end is near for the extended support by this 8th April 2014, After this date there will not be any support for XP from Microsoft and this puts XP users under trouble as there is already a great deal of Security threats happening around the world and the exploits target is now this legacy Operating system so its good to start the upgrade now itself as this no better day than today. I already wrote few posts on this earlier and per current analysis already major Organizations started their upgrade and few are still in progress but we have a tight deadline to complete this and few Organizations are still using XP due to various other reasons and Microsoft Security essentials is available as a backup for providing anti-malware support but this is not a good option for a longer run and everyone need to upgrade the end user Operating system sooner or later. Along with XP , IE8 is also reaching its end of support on the same date so browser upgrade becomes mandate once you complete your OS upgrade to the latest version. Review my old posts to know how things started. These are only few and there are many other available outside and everyday one new security threat is happening around the world and all these happenings puts us at the verge to get our environment secure at the earliest by all means. Additionally, download this guide to from WindowsITPro know the top reasons to Upgrade from XP. Get yourself ready and start the transition if you have not started the upgrade yet as the deadline is getting near day by day.